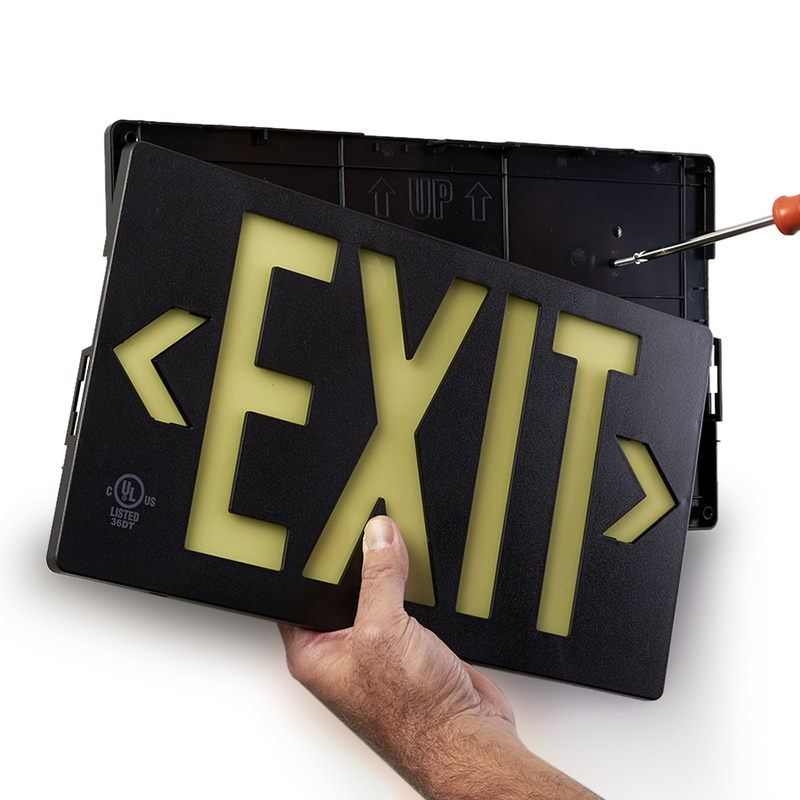 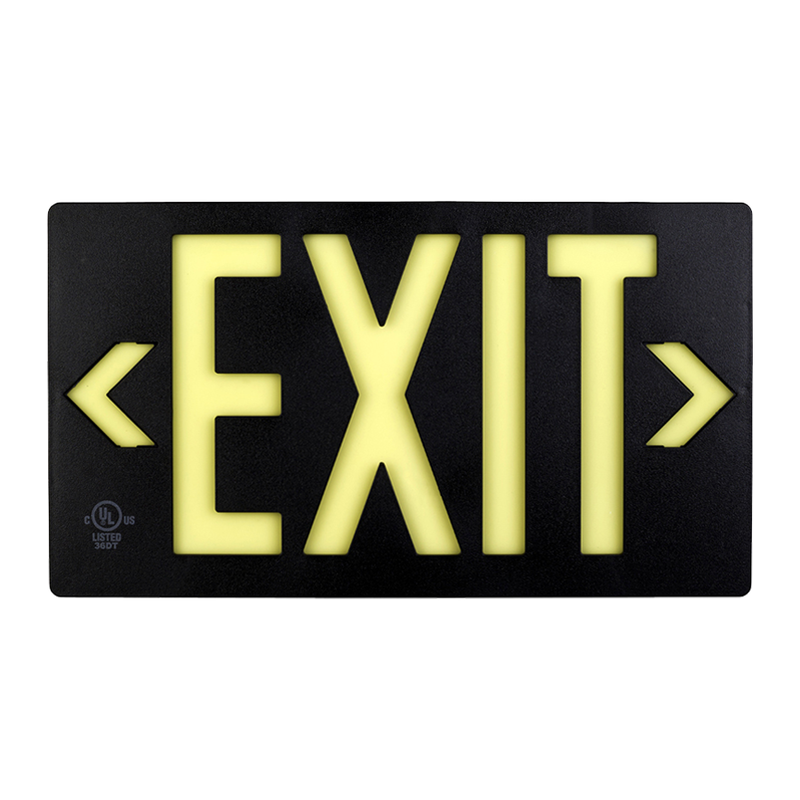 PF100 GloBrite® Black, Double-Sided, Molded Plastic Eco Exit sign uses zero energy. 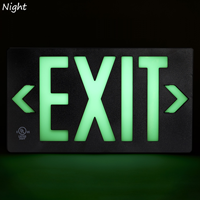 It is free to run and does not require maintenance, bulbs, or batteries. 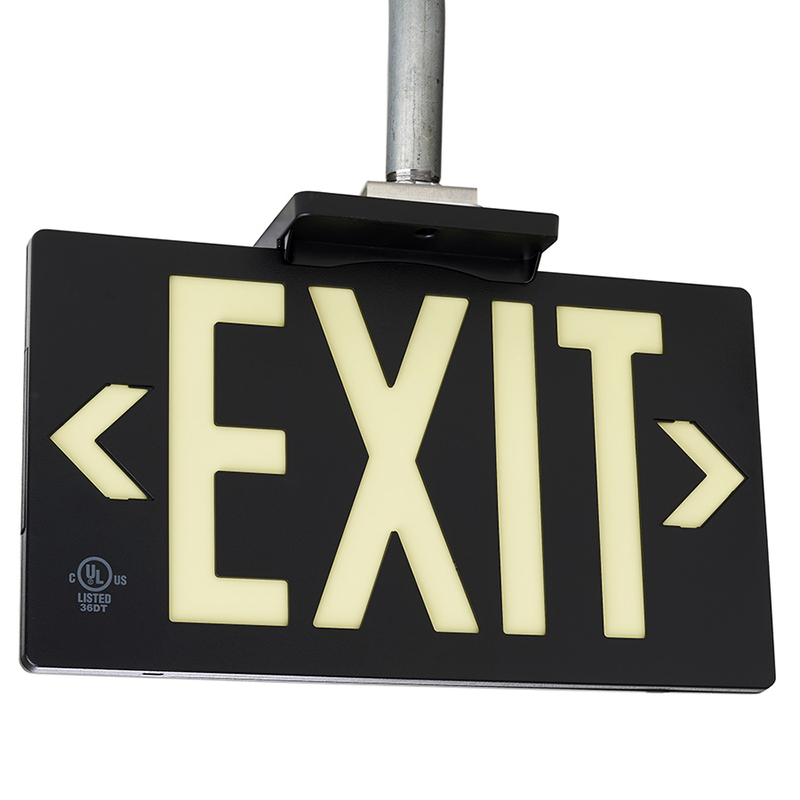 It is recyclable, non-toxic, and non-radioactive. 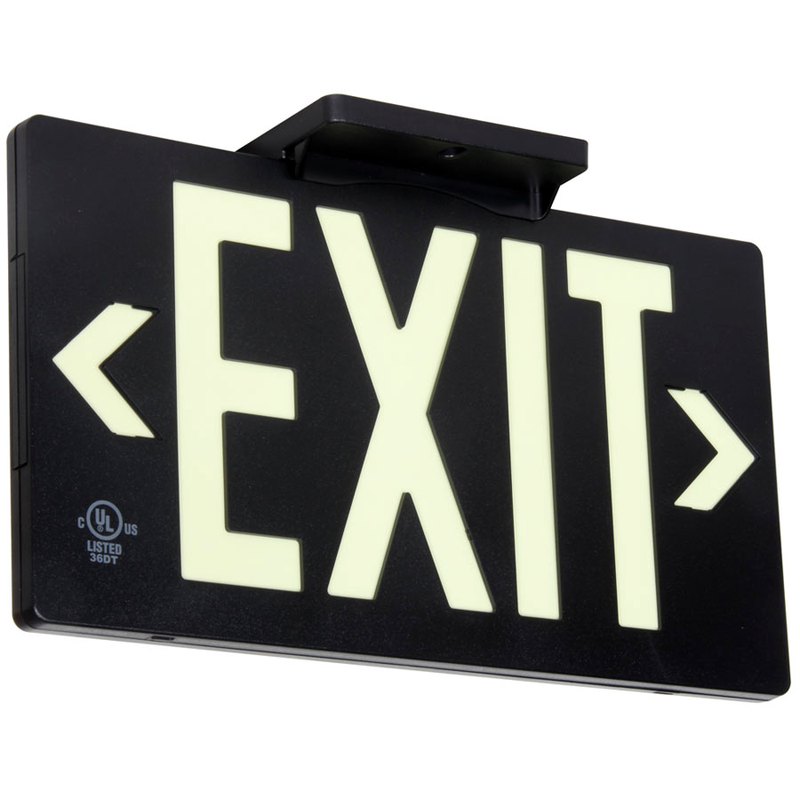 The PF100 is designed for surface, flag, ceiling or stem mounting and stores LED, fluorescent, metal halide or mercury vapor light. 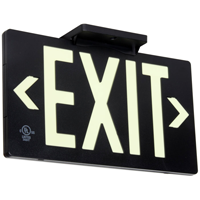 The sign is thin with a low profile construction and provides consistent, uniform illumination visible at 100 ft. 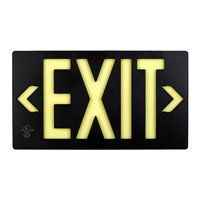 Size: W8.75”xL15.5" Life Expectancy: 25+ yrs. 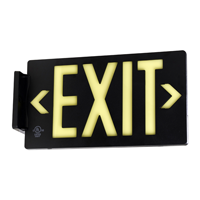 Jessup Glo Brite 100 Foot Molded Plastic LED Chargeable, Non Electrical, Glow-in-the-dark (Photoluminescent) Exit Sign, Single-Sided, 8.75" by 15.5", Black. 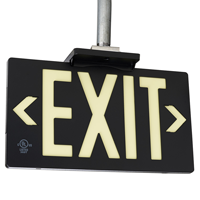 Can be charged with LED, fluorescent, metal halide or mercury vapor light. 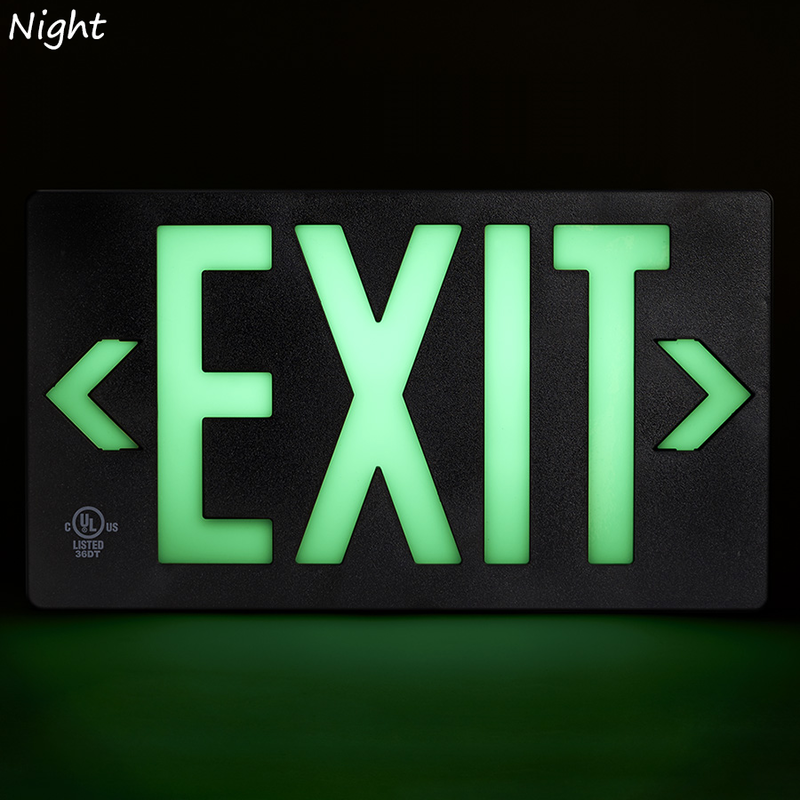 Thin profile construction provides consistent, uniform illumination visible at 100 feet away in emergency blackout. 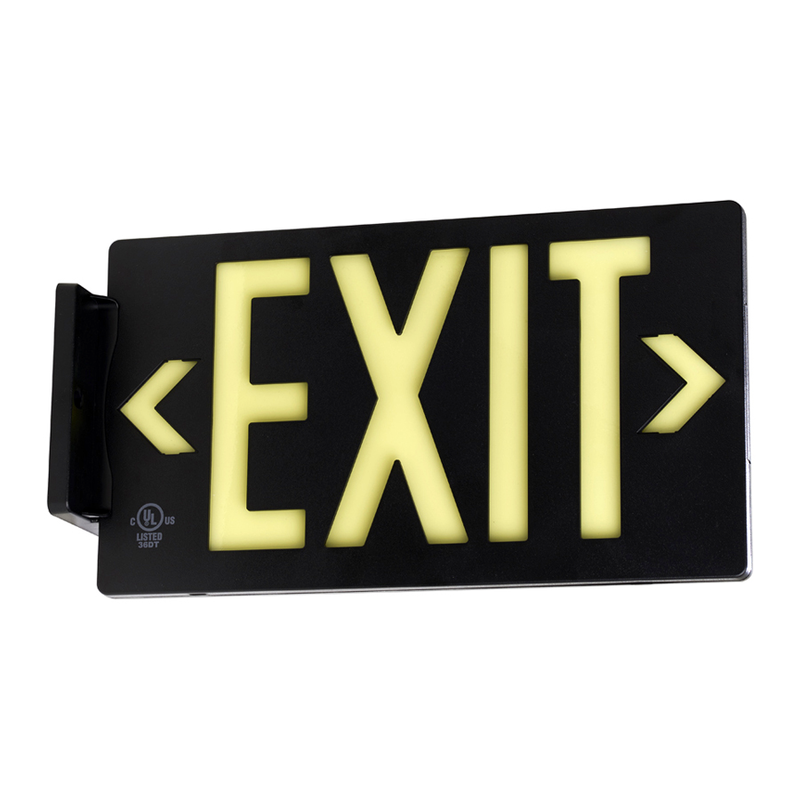 Unlike tritium exit signs, Glo Brite photoluminescent exit signs are non-toxic, non-radioactive and fully recyclable creating no additional health risks.